is Dhanu and Moon sign associated with the name Farida is Saggitarius. The name Farida has Fire element. Jupiter is the Ruling Planet for the name Farida . The name Farida having moon sign as Saggitarius is represented by The Archer and considered as Mutable . Normally, people with the name Farida are very active. Such people are filled with energy and optimism. They are good orators. an Iraqi singer. She performs regularly in the Iraqi Maqam Ensemble. The ensemble was established in 1989 in Baghdad by Mohammad H.Gomar to continue of the 1973 ensemble organized by the prominent lute professor Munir Bashir. She had taught maqam singing at the Baghdad Conservatory. She left Iraq in 1997. She is married to Mohammad Gomar the Djozza instrument player and lives in The Netherlands. She was the recipient of the Medal Algeria Capital of Arab Culture in 2007. She performed in International Mystic Music Sufi Festival in Karachi, Pakistan in 2007. Please suggest meaning of name Farida in other country, history of name and famous personality with name Farida or you like to put your any comment/suggestion on this name for other visitors. 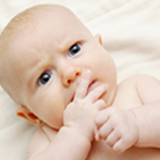 We have received lots of suggestion from our website users on baby names. We are thankful for all the contribution on meaning of girl name Farida. What does the name Farida mean in other origin if you know then please suggest. Further suggestion or detail on what is the meaning of name Farida. History of name and famous personality with Farida will help to update our database and other website users.